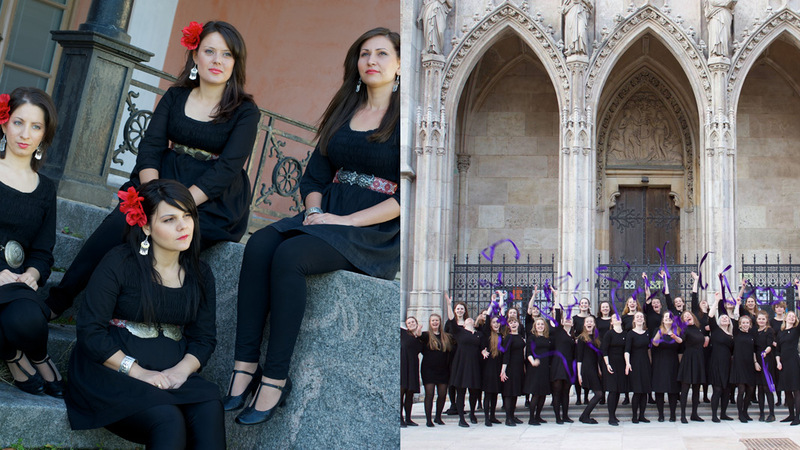 Transform are truly proud of merging the highly talented Bulgarian quartet “Vaya” with our own Trondhjems Female Student Singers Association, TKS. The distinctive sounds of women’s choirs in Bulgarian folk music come from their unique rhythms with asymmetric beats, harmony and vocal production. TKS has been working with this particular style for a long time. We are truly looking forward to this unique collaboration! Vaya Quartet from Bulgaria was established by four young folk singers who graduated from the Academy of Music, Dance and Fine Arts in Plovdiv. They were fortunate enough to work under Dora Hristova, the conductor of the world-famous choir “The Mystery of the Bulgarian Voices”. Their repertoire consists of principles from traditional folk songs infused with contemporary pieces composed by young artists. Trondhjems Female Student Singers Association was founded in 1930 and celebrates 88 years in 2018. They are one of the oldest women’s choirs in Norway and count 80 singers with weekly rehearsals and a busy schedule throughout the year.